Mumbai, September 14th, 2015: Fortis Hospital, Mulund, after recently being JCI accredited, has been bestowed with yet another honour, an international recognition, for having won five awards at the Asian Hospital Management Awards (AHMA) across multiple categories. 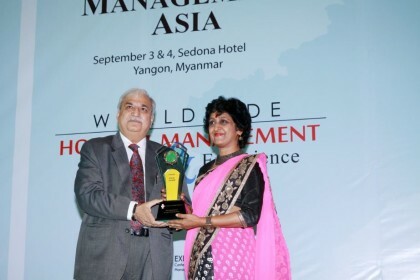 Dr S Narayani, Zonal Director, Fortis Hospital, Mulund received the awards on behalf of the institute at an award ceremony at Sedona Hotel in Yangon, Myanmar. The Asian Hospital Management Awards recognizes and honors hospitals in Asia that implement best hospital practices. Now in its fourteenth year, AHMA is considered as “the” hospital management awards program in the Asia-Pacific region, as awards are given to those hospitals that have innovated, implemented or enhanced outstanding projects, programs, and best practices during the prescribed time period.